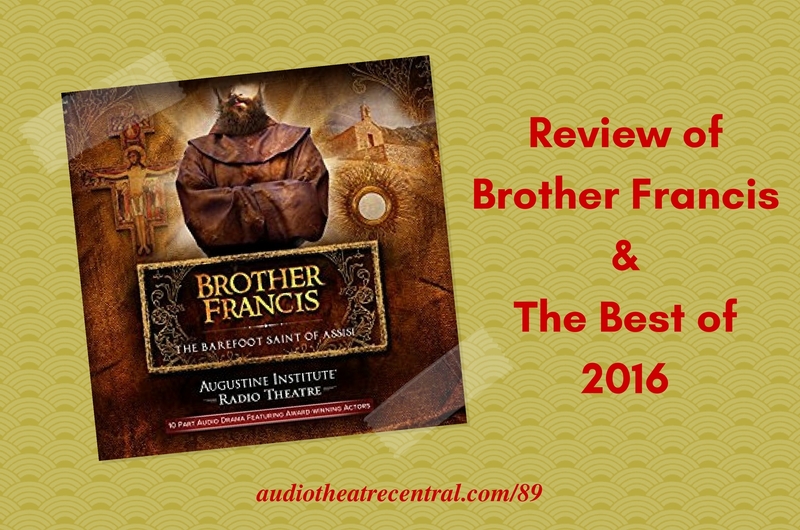 We review Brother Francis: The Barefoot Saint of Assisi in this episode. Andrew decided to play hooky so we plow on with special guest host, Jordyn, Roy's wife. We also talk a bit about our top picks for audio drama in 2016, address some great feedback from Michael C., Roy delivers an AIO-centric newscast and JD shares a couple audio drama tidbits to cap off the show. We go over a few of our picks for The Best of 2016 in the world of family friendly audio drama. Focus on the Family has released some information regarding the 40th Anniversary Cruise and the AIO related events. This first production from A.I.R. Theatre is an audio drama of the very highest quality. 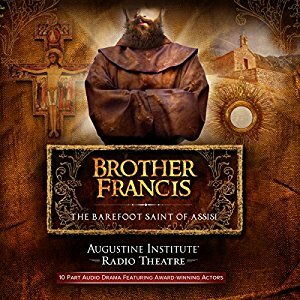 Every aspect the of production values of this audio drama is extremely well done. Michael C. weighs in on the Renae the Intern issue with some great points. JD chats with 9-year-old Logan about The Extraordinary Adventures of G.A. Henty. Congrats to Michael C. whose name was drawn in last year’s Listener Survey drawing.